So, while Section 1 imposes a rate of tax on groups of individuals, and Section 61 would appear to impose the tax on all the listed sources, it is important to remember that the Supreme Court said that the income tax is not a direct tax, but an indirect tax. So, under the law, HOW IS IT COLLECTED, and who is liable for PAYMENT of the tax? Remember that in 1898 in Pollock v. Farmers Loan & Trust Co. (1898), the Supreme Court ruled that it was (and still is) unconstitutional to lay an income tax directly on the interest and dividend payments of American citizens (which are both listed in Sec. 61. Gross Income Defined, numbers 4 and 7 ??). And then, the Court ruled in Stanton v. Baltic Mining Co. (1916) that "the 16th Amendment conferred no new power of taxation !" SO, if it was UNconstitutional in 1898, and NO new powers have been conferred, how can Sec. 61. 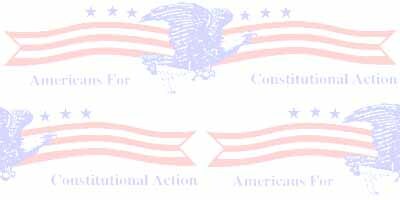 Gross Income Defined be constitutional now? To understand this, we have to look at the history of the law showing how the law is actually supposed to be applied. "Source: Sec. 22(a), 1939 Code, substantially unchanged"
For some reason the footnote was dropped when the law was recodified in 1986. It is not known why the footnote was dropped, but it is very important because, as you can see, the footnote identifies that the code source of Section 61, is Section 22(a) in the 1939 version of the code (the laws). The 1939 version is the version just previous to the 1954 version. Now, being able to research the source of a law is very important in determining how that law is supposed to be properly applied. Without a review of the source materials it is very difficult to accurately determine how a law was originally intended to be applied, and the courts, of course, do not have authority to write law or change law, only the authority to apply it as it is written to the instant circumstances present in the instant case before them, with further regard only for its original, stated congressional intent. So we go to Section 22(a) in the 1939 code, and we see that the formatting of the paragraph has changed, but that indeed, the substance of the language is pretty much the same as in Section 61. (a) General Definition. -"Gross Income" includes gains, profits, and income derived from salaries, wages, or compensation for personal service ... of whatever kind and in whatever form paid, or from professions, vocations, trades, businesses commerce or sales, or dealings in property, whether real or personal, growing out of the ownership or use of or interest in such property; also from interest, rent, dividends, securities, or the transaction of any business carried on for gain or profit, or gains or profits and income derived from any source whatever...."
Now, it is very important to understand how Section 22 was implemented and applied in 1939 in order to understand how Section 61 is supposed to be applied today. The two sections are inextricably linked in such relevant fashion, and the answer to our question of how Section 61 can be Constitutional, given the Pollock decision, can only be found by a thorough examination of this relationship. in any of the listed sources identified as taxable in Section 61. So, what is PART 519? Part 519 is the 75 year Canadian Tax Treaty, signed in 1918. What Sec. 61. Gross Income Defined actually does, under the proper application of the law is define the taxable sources of income to the American citizen under the Canadian Tax Treaty. It does not, and cannot constitutionally convert all of the income elements listed from DOMESTIC sources into taxable income because that would be a direct tax without apportionment, which is still unconstitutional, as ruled by the Supreme Court 1898. Domestic sources of “income” to a citizen CANNOT BE MADE THE SUBJECT OF A TARIFF. The I.R.S. gets away with claiming Section 61 applies to a U.S. citizen's domestic income because most American citizens are ignorant of the tax laws, ignorant of their Constitutionally guaranteed rights, and are too afraid of the tyranny of the I.R.S. to even try to fight the government in court over a law they do not understand. The courts have ruled that a citizen's rights are not passively protected by the law or the courts. A citizen must aggressively assert those rights or they may be diminished by government policies and programs. Sec 931. Income from sources within possessions of the United States. You will notice that Congress states here that only income earned in the territories and possessions, is considered gross income of an American citizen (of the United States). Gee, I wonder why they changed this Section ??? Do you feel diminished ? You should, they have been robbing you and your family for over 74 years with this intentionally deceptive conspiracy to extort money from citizens, based on the taking advantage of an individual's ignorance of the law, which was intentionally made as confusing as possible so as to stifle discussion and debate with baffling bullsh__. Some elected representative and public servant, huh ? Oh, by the way, the Canadian Tax Treaty expired in 1993, so Section 61 appears to no longer have any valid application at all under the laws in Title 26 any more. ! The CFR Parallel Tables now show Section 61 as applicable under Title 7 - Agriculture; somehow related to the privilege of receiving farming subsidies. (The nations shown with a small x in the table have current tax treaties in effect today (as of 1997), and those are the countries, where, if you earn money there, you must file and pay the income tax on those earnings (on Form 2555 - Foreign Earned Income). You remember I showed you that this income tax started as a FOREIGN TAX in 1861, and was a Federal "return" in 1862 (both repealed); that it was determined by the Supreme Court to still be an indirect tax in 1916 in the form of a tariff that is collected and paid indirectly by “corporations, etc.”, with the “etc.” being the American citizens, under the Brushaber and Stanton decisions. And now we see that Section 61 actually also ONLY taxes the foreign earnings of a citizen, NEVER THE DOMESTIC. The foreign earnings of a citizen, could of course be made subject to the payment of a tariff. Domestic earnings cannot. The income tax, under the letter of the law, IS STILL AN indirect tax that is collected at the source by persons who withhold the tax as tax collectors (Withholding Agents) from payments made to FOREIGN PERSONS. In America, under the actual provisions of the enacted taxing legislation of 1916, still in the law today, Citizens have a duty to act in their sovereign capacity as federal tax collectors, in the form of Withholding Agents. They have no legal duty or requirement that can be identified in the law to pay the income tax on their own domestic earnings derived by constitutional right from an occupation of common right engaged in under the Constitution of the United States of America. The income tax is only paid by American citizens on income earned under the federal territorial jurisdiction outside of the fifty states, in the territories and possessions, and earned in foreign countries under TAX TREATIES with those countries. Nothing more (as far as Citizens are concerned). It is ONLY NON-RESIDENT ALIENS AND FOREIGN CORPORATIONS THAT ARE SUBJECT TO THE PAYMENT OF THE INCOME TAX ON THEIR DOMESTIC EARNINGS IN THE UNITED STATES OF AMERICA.